Upon examination of the facts of the case and relevant local and international laws, a three-member panel led by Justice Friday Nwoke declared that the Nigerian government was wrong in arresting Mr. Dasuki, searching his residence and confiscating his properties without a warrant. The court accordingly ordered the immediate release of Dasuki and awarded N15 million damages in his favour. Before proceeding to discuss the bindingness and enforceability of the judgment, some preliminary points about the status of the Court are apposite and worth noting. I urge readers to be patient in digesting this long expository. The Court was created pursuant to the provisions of Articles 6 and 15 of the Revised Treaty of the Economic Community of West African States (ECOWAS). By virtue of Article 10 of the Supplementary Protocol of the ECOWAS Court adopted in January 2005 by the Authority of Heads of States and Government, individuals, corporate bodies and non governmental organizations have direct access to the court for the enforcement of human rights. In the case of Valentine Ayika v. Republic of Liberia ECW/CCJ/APP/07/11, cited with approval by the learned professor of law, the Court ruled the case admissible notwithstanding the fact that it was alleged to be pending before the Supreme Court of a Member State, Liberia. The consequence of this on the Dasuki’s case for example is that the Court’s jurisdiction was not ousted due to the pendency of criminal cases in different Nigerian courts against Dasuki. It is immaterial that Dasuki was granted bail by various courts and that he has not exhausted legal remedies in Nigeria. The Court has both an advisory and a contentious jurisdiction. Under the former, the Court gives legal advisory opinion on any matter that requires interpretation of the Community text (laws). Under the latter, the Court examines cases of failure by Member States to honour their obligations under the Community law. It also has the competence to determine cases of violation of human rights that occur in any Member State and so on. Is the decision of the court binding on Nigeria? This is the crux of the matter. There is no simplistic answer to this question. I implore readers to carefully read this essay to the end before forming an opinion based on my submissions. “Judgements of the Court of Justice SHALL BE BINDING on the Member States, the institutions of the Community and on individuals and corporate bodies.” (Capitalised for emphasis). As a signatory to the Revised Treaty of the Economic Community of West African States (ECOWAS), subsequently referred to as the Revised Treaty, Nigeria is legally bound by the judgment of the court. This is consistent with the elementary principle of international law ‘Pacta Sunt Servanda’ (agreements are binding). The Federal Government in recognition of the legal status of the Court and the binding nature of its judgments voluntarily entered appearance and vigorously defended itself in the case brought against it by the former National Security Adviser, Sambo Dasuki. Having submitted itself freely to the jurisdiction of the Court, it will be disingenuous for the same government to resile from its obligations under the Revised Treaty and the relevant Protocol and Supplementary Protocol relating to the Court. However, that is not the end of the matter. “No treaty between the Federation and any other country shall have the force of law except to the extent to which such Treaty has been enacted into law by the National Assembly”. The National Assembly has not domesticated or enacted the Revised Treaty and the Protocols relating to the Court into law. Does the non domestication of the Treaty imply that Nigeria is not under a legal obligation to enforce the judgment given by the Court in the Dasuki’s case? The answer is in the negative within the realm and context of international law. Under international law, Member States are not allowed to cite the provisions of their municipal laws, including their Constitutions, as a basis to evade their treaty obligations. The foregoing pronouncement of the Court is a strong restatement of the principle of international law which forbids Member States from relying on municipal or national laws as a shield to evade their obligations under international law. Notwithstanding the obligations of Nigeria under international law, within the realm of Nigerian jurisprudence and legal system, Article 15 (4) of the Revised Treaty which declares the judgment of the Court binding on Nigeria does not enjoy the blessings of the Nigerian Constitution having regard to the mandatory provisions of Section 12 (1) Constitution. Putting it more succinctly, the judgment given by the Court in favour of Dasuki is only binding on honour and does not have force of law in Nigeria since the National Assembly is yet to domesticate the Revised Treaty and Protocols relating to the Court. There is an apparent conflict between the provisions of the Article 15 (4) of the Revised Treaty and Section 12 (1) of the Nigerian Constitution. “…an international treaty entered into by the government of Nigeria does not become binding until enacted into law by the National Assembly. See section 12(I) of the 1979 Constitution which provides: “12(1) No treaty between the Federation and any other country shall have the force of law except to the extent to which any such treaty has been enacted into law by the National Assembly (AFRC):’ (See now the re-enactment in section 12(1) of the 1999 Constitution). See the recent decision of the Privy Council in Higgs & Anor. v. Minister of National Security & Ors. The Times of December 23, 1999 where it was held that – “In the law of England and The Bahamas, the right to enter into treaties was one of the surviving prerogative powers of the Crown. Treaties formed no part of domestic law unless enacted by the legislature. Domestic courts had no jurisdiction to construe or apply a treaty. Nor could unincorporated treaties change the law of the land. They had no effect upon citizens’ rights and duties in common or statute law. They might have an indirect effect upon the construction of statutes or might give rise to a legitimate expectation by citizens that the government, in its acts affecting them would observe the terms of the treaty.” In my respectful view, I think the above passage represents the correct position of the law, not only in England but in Nigeria as well. Where however the treaty is enacted into law by the National Assembly as was the case with the African Charter which is incorporated into our municipal (i.e. domestic) law by the African Charter on Human and Peoples’ Rights (Ratification and Enforcement) Act Cap. 10 Laws of the Federation of Nigeria 1990 (herein after is referred to simply as Cap. 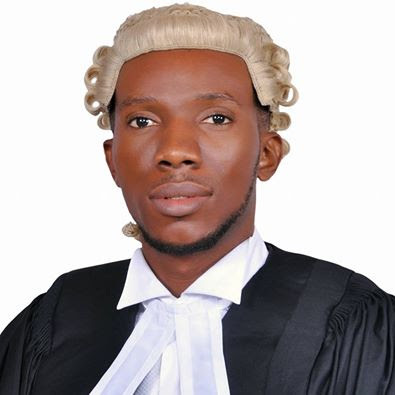 10) it becomes binding and our courts must give effect to it like all other laws falling within the judicial powers of the courts.” Per OGUNDARE, J.SC. (Pp. 30-31, Paras. C-F. The Supreme Court further held that though the treaty in question has been enacted into law by the National Assembly, it is submissive to the Nigerian Constitution which is the supreme law of the land and the grundnorm. In the Dasuki’s case, though the African Charter on Human and Peoples’ Rights was among the laws relied upon by the Court and has been domesticated vide African Charter on Human and Peoples’ Rights (Ratification and Enforcement) Act Chapter 10, Laws of the Federation of Nigeria, 1990 (now Chapter A9 Laws of the Federation of Nigeria, 2004), the judgment of the Court does not have the force of law in Nigeria. The reason is that it the Revised Treaty and Protocols relating to the Court that established the Court and clothed it with jurisdiction over cases of human rights violations in Member States and not the African Charter. The Charter can only have force of law from decisions of Nigerian courts until the National Assembly enacts the Revised Treaty into law. Under Article 24 (4) of the Supplementary Protocol, each Member State is expected to determine a competent national authority that will be responsible for the enforcement of the court’s decisions, in accordance with her own rules of civil procedure. Interestingly, Nigeria is among the three Member States (others are Guinea and Togo) that have put in place appropriate mechanisms for the enforcement of judgments by the Court. By virtue of Article 76 (2) of the Revised Treaty, the decision of the Court is final (not subject to appeal). Furthermore, Article 77 (1) of the Revised ECOWAS Treaty provides for the imposition of sanctions by the ECOWAS Authority against a Member State that fails to fulfill its obligations to the Community. In conclusion, Nigeria can either follow the path of honour and responsibility not only as a member but as the ‘super power’ of ECOWAS by releasing Dasuki as ordered by the Court in consonance with her treaty obligations, or take refuge in the non domestication of the Revised Treaty and continue to detain him. No matter how repugnant and grievous the alleged infractions of Dasuki are; irrespective of how majority of Nigerians feel about Dasuki and his unpatriotic mismanagement of defence funds, the judicial and legal process must run its full course unimpeded. The Executive cannot and should never be the accuser, prosecutor and the judge. President Buhari should come to terms with the tenets of democracy. In the final analysis, the path taken by the President Muhammadu Buhari-led government will have far reaching implications on the image of Nigeria and the perception of not only Nigerians but the international community and investors on the inclination of the government on issues of human rights, rule of law and democracy. President Buhari, the choice is yours.